The commercial vehicle (CV) market has had a good run in the recently ended fiscal year 2019. It was the sole segment to notch double-digit growth and crossed the million-unit sales milestone for the first time – 1,007,319 units (+17.55%). As in the passenger vehicle market where Maruti Suzuki India has a 51 percent stranglehold, Tata Motors has maintained its leadership in the CV segment for several decades now. However, intense competition both from domestic players and global OEMs has seen it shed nearly 10 percentage points over the past 7-8 years. The company closed FY2019 with a total CV market share of 44.41 percent (447,323 units), up marginally from the 43.93 percent market share it had in FY2018, although its FY2019 sales were an 18.82 percent growth over FY2018. Tata Motors’ growth rate was more than the overall CV market growth of 17.55 percent with sales of 1,007,319 units (FY2018: 856,916). What has helped the company is its strong grip on the truck segments – both M&HCVs and LCVs – and strong brand loyalty among its customers, some of whom have been Tata truck buyers for over two generations. What also matters is Tata Motors’ expansive service network across the length and breadth of the country. Where Tata rules is in the critical goods carrier segment of both M&HCVs and LCVs with a market share of 51.62 percent and 41.32 percent respectively. In the heavy trucks segment, the bulk of its sales comes from 16T, 25T,37T rigid trucks and 40T tractor- trailer categories. And, in the small truck market, its immensely popular Ace range of mini-trucks gives it a formidable presence with an over 60 percent market share. But rivals are fast upping the ante. . .
At present though Tata Motors is facing tough competition as rivals are upping the ante in the form of new products, enhanced sales and service and reduced total cost of ownership. In fact, the past 7-8 years have seen Tata’s CV market share under pressure – at the time it had an over 50 percent share in overall CVs over 60 percent in heavy trucks. The past few years have seen Ashok Leyland, the No. 2 CV player, VE Commercial Vehicles, new challenger brand Mahindra Trucks & Buses and Daimler Trucks’ Indian arm, Daimler India Commercial Vehicles, increase the CV competition sizeably. The past five years’ sales trends clearly indicate that with strategic expansion of the network, the right product portfolio and value-for-money products, these players have made in-roads into Tata Motors’ markets. Ashok Leyland has emerged a stronger opponent in the M&HCV segment and increased its overall CV market share from 11 percent in FY2012 to 18 percent in FY2019. In the same period, the company has fought a tough battle with Tata Motors in the M&HCV truck segments and substantially expanded its M&HCV goods carrier market share from 20 percent to 33 percent. In the LCV segment, Mahindra & Mahindra has emerged the biggest threat to Tata Motors with its Bolero range of pickups. While Tata still has the edge in the mini-truck segment due to its highly popular Ace range of small CVs that have defined the last mile delivery market in India, M&M has found success in the growing pick-up segment where it has an over 65 percent market share. New Maha Bolero pickup has class-leading payload capacity of 1,700kg., new interiors and improved seating comfort along with a wider co-driver seat. 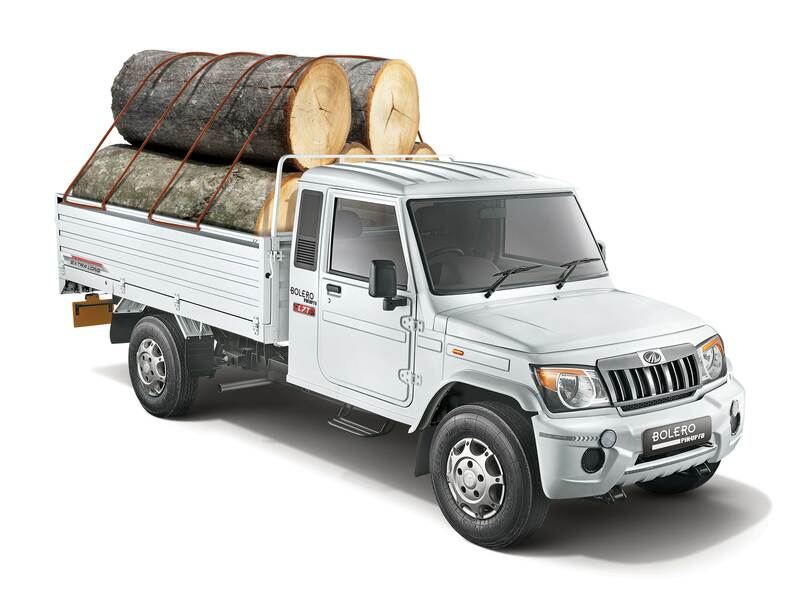 Tata Motors has been fighting back with a range of new products but has been unable to dent demand for the Mahindra Bolero range. The recently introduced Maha Bolero has been a success as is the new Jeeto mini-truck, built on an all-new platform. In FY2019, Tata Motors is the largest player in the LCV segment (passenger and goods carriers) with total sales of 251,661 units and a market share 40 percent but M&M is close behind with 38 percent market share and sales of 236,377 units.